This is the Beltronics Hard Wire kit for the RX65, RX55, V995 and V965. 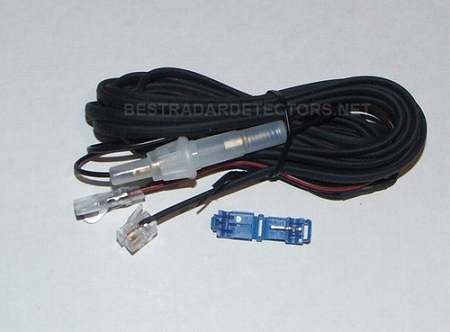 Using this kit you can hard wire your detector so that you do not need to use the cigarette lighter plug. Need Local Professional installation of this product for only $34.95 click here for details. Worked fine, installed fine, nice setup. Good price. Finally a compnay that takes into consideration of the REAL needs & sent a cord that was the perfect length for my needs. How many times have you bought an item & the cord is too short to do what yuou wanted, not here! Very easy to wire direct & only took a few minutes!